The Sunday Post is a weekly meme hosted by the lovely Kimba at the Caffeinated Book Reviewer. 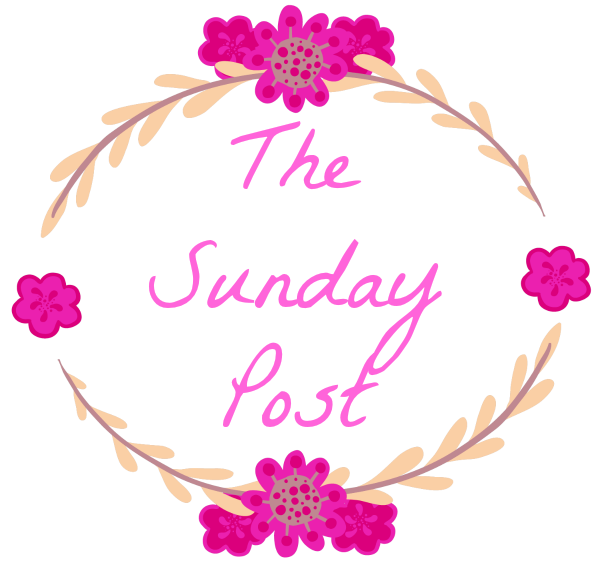 I am going to recap my week, ramble about books and give you an idea of what I have coming up plus anything else newsworthy! Hello everyone, have you had a good week? Not much to report this week everyone has been very well behaved and that includes me! I have probably been catching up on my tv shows more than reading but I am nearly caught up on The Walking Dead, finally! 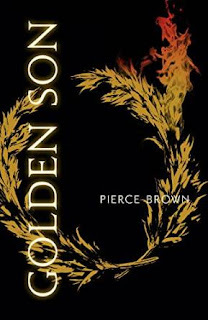 I am also happy to report I have finished (again finally) my re-read of Golden Son, a book of a zillion feels, and this means that I have started to read Morning Star. If you haven't read Pierce Brown's series then add it to your reading piles. The winner of my giveaway announced! Review of this bloodydamn bad boy! I have a long weekend coming up and Easter means chocolates! 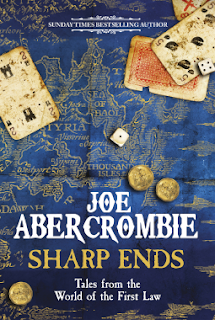 I have received physical and e-copies of some fab books this week, thank you to all the publishers for sending them! Also, some of them are my own purchases, the pics link to Goodreads for you to find out more! Let me know if you have read any of them! 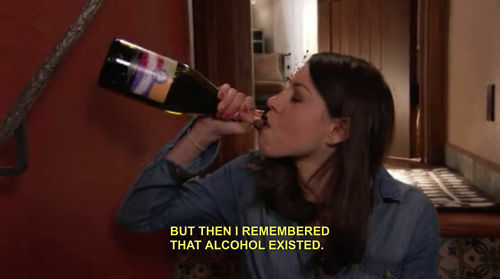 Yay for alcohol (love that pic)! Glad it was a good week. I'm caught up on Walking Dead too, like the last episode (go Maggie and carol)! Bout time! How are you liking it this season? Low looks good, and I'm curious about Sleeping Giants from your review last week... may have to get it. Maggie and Carol are the best, I love Carol she is a total badass. Sleeping Giants is very good. I am glad your week was okay! I have a long weekend coming up as well and I have plenty of stuff to do throughout it... but I am looking forward to it and can't wait to read and have some time to get ahead on study for tests that happen afterwards! I don't miss studying at all! Good luck! 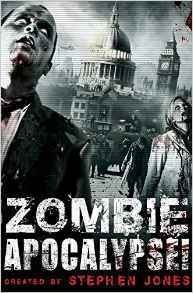 I didn't get far with Zombie Apocalypse when I tried it a few years ago. Hope you have a better time with it! Have a good week! It looks like it has a good layout but still not started yet. I finished the Joe Hill book yesterday and it is wonderful, it was a book you easily lose hours in. I heard good things about that Pierce Brown series, I hope you'll enjoy the last book as well. 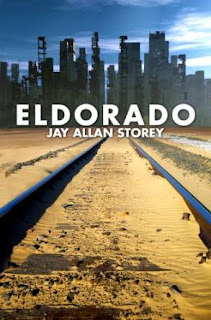 I'll keep it mind for when I am in the mood for a dystopia book. You got some good looking books this week! 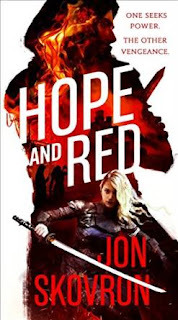 I like the cover for Hope and Red. I hope you'll enjoy your new books and have a great week! Oh happy reading of Morning Star..best trilogy ever:) Thanks again for the gift card!! Hope your week is as amazing as Morning Star! It sounds like you had a good week, Heather :) Is spring arriving in your corner of Europe as well? Your new books all look good, and I hope you'll enjoy them. Spring is making itself known, colour is popping up!! Ooh I need The Fireman! And I need to read more Joe Hill in general. Happy (early) Easter- glad everything is going well. 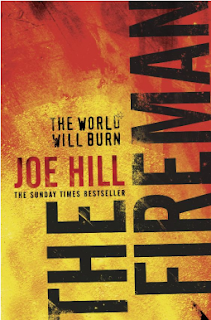 I need to read more Joe Hill, this was my first! Avoiding Outlander, I don't think I'll like it, sticking with dead! Chocolate is just the worst, I love it all apart from the white stuff. 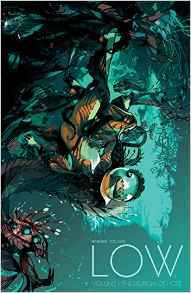 You better read Red Rising it is the best!! And yayyy for Easter and chocolate. CHOCOLATE = I NEED. Morning Star is really good, I am not far in but it is just too much, I don't want it to end! 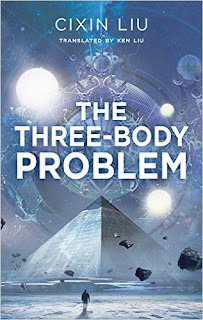 The cover of The Three Body Problem looks so interesting. I have Red Rising, but I have yet to read it. 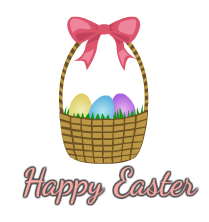 Hope your Easter weekend will be a good one!